This kit includes the core components to make a Tx20 transmitter. 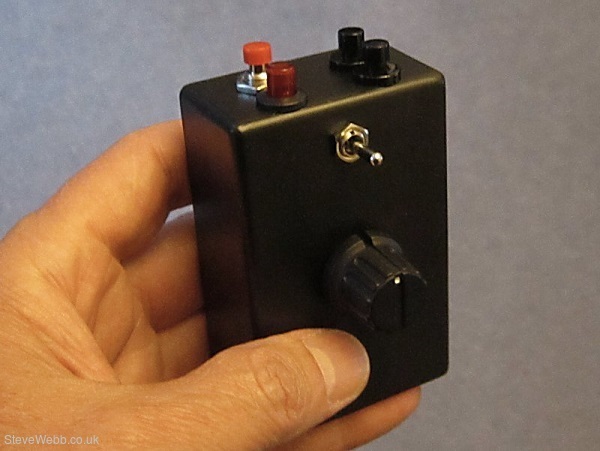 Tx20 is a compact wireless transmitter intended to control model railway train engines. It has controls for Speed, Direction, Sounds, Coupling and Lights (depending on how used). PP3 9v battery, hookup wire. Solder, Iron, Multimeter, Glue, heat-shrink tubing, Drills, Files, Knife, Screwdrivers etc. See DelTang web site for further information.